In spite of working abroad, there are many Overseas Filipino Workers (OFWs) that still in debt. Indebtedness is not new in OFW stories. From the start when OFW applies for a job abroad and sometimes until they retire working in other countries, some of them are still in debt. They said it is because you need a "capital" if you pursue working in other countries. This capital is a must so that you have something to use to process your documents and requirements, medical exam, big amount of placement fees and another related spending until you got hired. To provide the needs of a family and for their better lives. This is the most common reason of Pinoy why he/she wants to work abroad. And because of this, even their small properties are put on risk when it uses as a collateral for a loan to have that abovementioned "capital". Still, working in abroad is not an assurance that you will no longer engage in debts. There are many OFW stories where an OFWs puts into prison due to unpaid debts of obligations. This is why extra income for OFWs is a must. Having or growing an extra income is not just OFWs sole responsibility even he or she is a breadwinner of the family. We must say, 50/50 - for OFW and his family. There are other ways to add income to a family by engaging in a small business. 1. Online Selling - Online shopping is a trend nowadays. Fashion apparel, gadgets, processed foods remain the highest selling online item. It can be run 24/7 at home with low operating expenses. For the capital, you can borrow it from your OFW family member. A facebook will do. But a website is better. High Powered PC with internet connection. 2. The Carinderia or Food Business - Any business that deals with food are surely profitable for as long as there is proper management of the business. 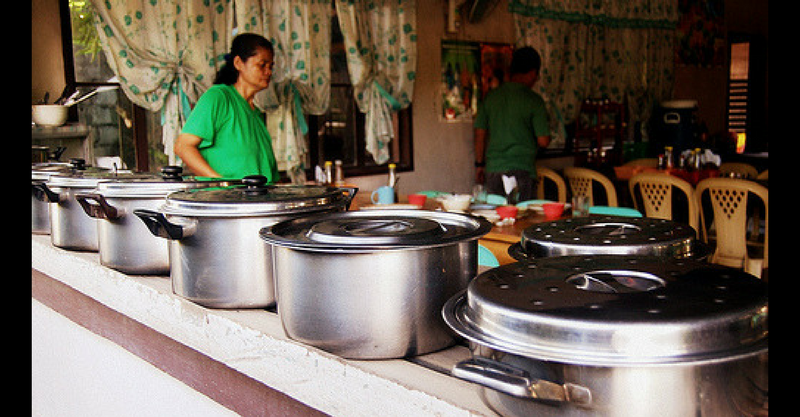 The food business will always be a popular business idea for Filipino OFWs. Start a food delivery business. 3. 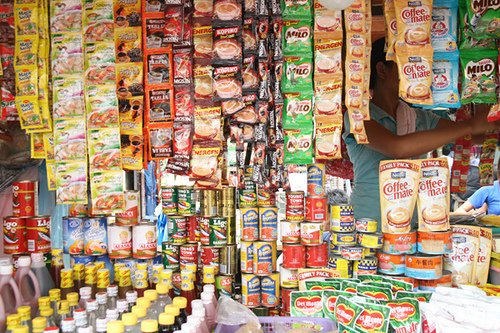 The "sari-sari" store - This is a common business venture for OFW spouses in the Philippines. You can set it up starting with a small capital. This is a small business that can be run from home and considered to be a cash generating business for OFWs and its family. To attract more costumers, you can add imported items from abroad such as clothes, toiletries, and canned goods. This will attract a more diversified market and potentially earn more income. 4. E-loading/Cellphone Retailer and Services - you can sell these from your home. The market for mobile phones will continue to be profitable until 2020 in the Philippines. That is why this is the best business ideas for OFWs. 5. Real estate - Another opportunity but may take more time. A property’s value may increase between 20 to 50% in a matter of five years, depending on the location. Since OFWs are earning 10x more in abroad, they can easily invest in condo units if financial management is good. Condo investing has been a trend for some time now. They can earn from having it rented. 6. Mutual funds - this type of investment takes away the trouble of having to constantly check on the progress or development of the investment through the help of a fund manager. 7. Bonds - This type of investment is offered by large corporations and government offices as a means of raising funds by borrowing from the public. They have a fixed maturity date and offer different rates that depend on the length of investment. 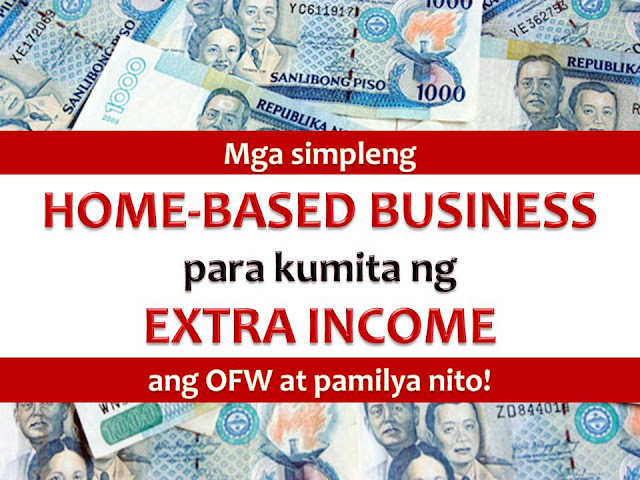 There are many opportunities for OFWs and its family to earn and grow extra income. But they said, investing in small or big business venture, it requires the same discipline: the will to start the business, to learn the ins and outs of the business, and to create strategies that will ensure profitability. In such ways, OFWs can avoid debts since the family has an extra income at home. Other than this, OFW can retire early and come home for good together with his or her family.